If a speedy processor is the brain of a gaming PC, the graphics card is the heart and soul. A powerful graphics card can mean the difference between a sensory feast and an interactive slideshow. Although upgrading your graphics board is one of the simplest ways to produce noticeable improvements in your PC’s gaming performance, it’s also one of the most confusing: Throwing extra money at the problem isn’t always the best solution, and you have lots of products to choose from. Don’t fret, however: We’re here to help. Only two major graphics-processor manufacturers exist these days. In the green corner is Nvidia, which serves up powerful, energy-hungry hardware. In the red corner is AMD, whose offerings are competitive but generally less taxing on your electricity bill and your wallet. Each company does things a bit differently. Consider support for multiple graphics cards: AMD calls its technology CrossFire and Nvidia calls its version SLI, but both allow you to pair up identical graphics cards to eke a bit more performance out of your PC. You won’t enjoy a 100 percent performance gain by slapping another card into your rig, but you will see a worthwhile speedup if you can afford the cost--and if your motherboard (and power supply) can support more than one card. Graphics cards have quite a bit more to offer than just making your games pretty. If you want multiple displays, look to AMD, which offers Eyefinity technology: A single AMD card can support up to three monitors, which can be a boon if you have plenty of desk space and you like to give games as much real estate as you can muster. Nvidia’s graphics cards are limited to two screens; if you want more, generally you’ll need to run two cards in SLI. Another important consideration, for some gamers, is 3D. Both AMD and Nvidia make graphics cards that are capable of 3D video playback and 3D gaming, but Nvidia’s 3D Vision ecosystem has been around for years, and you’ll find various games and hardware built with Nvidia’s technology in mind. 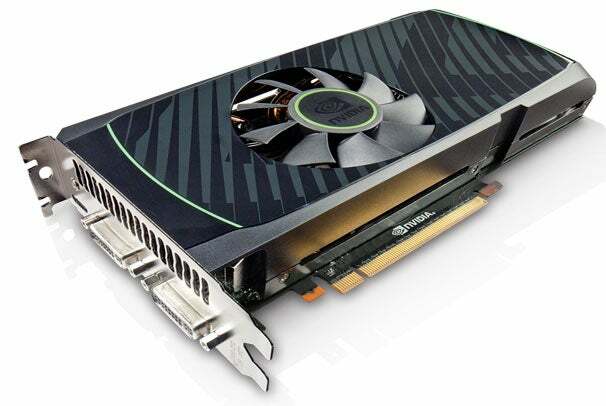 Tossing a wrench into the works is the slew of vendors offering their own branded cards, which use AMD or Nvidia GPUs. These products will account for differences in price, as some vendors overclock their cards, slap on custom heatsinks and cooling technology, or even bundle a few games. We decided to compare several current AMD and Nvidia cards, at the affordable, midrange, and high-end levels. We evaluated them using the 3DMark 11 and Unigine Heaven benchmarks, and we ran our own tests with two games: Crytek’s Crysis 2 and Codemasters’ Dirt 3. We performed all tests at the highest settings at multiple resolutions on 30-inch monitors. We used separate testbeds for the AMD and Nvidia cards to avoid driver issues, but we ran our tests on identical hardware. 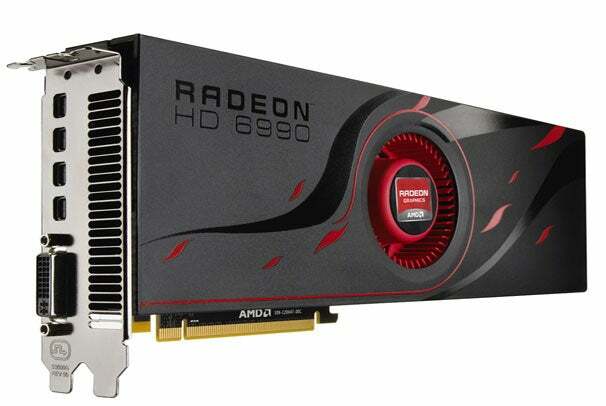 We’ll start with AMD’s Radeon HD 6870 and Nvidia’s GeForce GTX 560 Ti. You can find each card for $175 to $250, depending on the vendor and where you’re shopping. They aren’t quite budget offerings, as plenty of cards priced less than $150 will prove serviceable. But these cards are a good place to start if you’re seeking great performance at a price that doesn’t break the bank. The HD 6870 is generally available for about $30 less than the GTX 560 Ti, and that difference played out (more or less) in our testing results: The HD 6870 almost invariably finished behind the GTX 560 Ti on our benchmarks, though never by very much. CHART NOTES: 4xAA = 4x antialiasing; fps = frames per second. For all scores, higher (shown in red) is better. For more information about interpreting 3DMark 11 scores, visit 3DMark.com. In Unigine Heaven, the HD 6870 pulled ahead for the only time, reaching 30.6 frames per second to the GTX 560 Ti’s 29.8 fps at a resolution of 1920 by 1080 pixels with antialiasing turned on. This is about as negligible as differences get; remember, too, that Unigine is a synthetic benchmark, with no direct correlation to real-world performance. Testing on real games painted a clearer picture, but didn’t favor either card too much. Nvidia remained in the lead: Across all resolutions and test settings, the GTX 560 Ti averaged about 5 fps faster than the HD 6870 did in Crysis 2, and about 10 fps faster in Dirt 3. To get a better idea of how these cards stack up, look beyond the numbers. 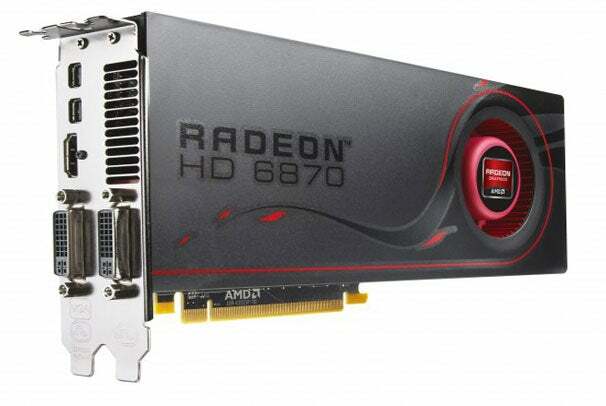 The HD 6870 offers a pair of DVI ports, an HDMI port, and two mini-DisplayPort connectors, as well as AMD’s Eyefinity techonlogy. The GTX 560 Ti’s relatively meager selection consists of two DVI ports and a mini-HDMI port. Finally, consider energy efficiency. The GTX 560 Ti drew 220 watts under load, versus the HD 6870’s 187 watts. While the difference in your energy bill might not be immediately noticeable, you’ll want to keep the power drain in mind should you eventually decide to add a second card to take advantage of SLI or CrossFire performance. If you’re on a budget, you’ll find better things to spend your money on than three monitors, so Eyefinity isn’t such an appealing prospect. At this level, Nvidia’s card is the better option, offering great performance at a fine price. 3D Vision support (if you’re into that sort of thing) is the icing on the cake.